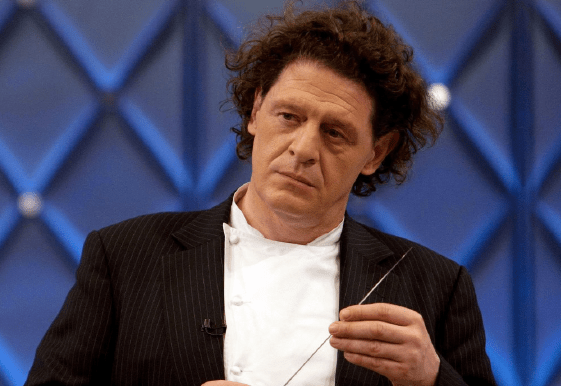 Marco Pierre White may wrap in MasterChef next Sunday but he’s not leaving our screens just yet. SBS has his new 7-part series Marco Pierre White’s Kitchen Wars in which he scours the UK searching for the best couple running a restaurant. Sound familiar? With couples who are married, friends or family members, this sounds like it could be his very own MKR -the key difference being they already run their own restaurant. I guess that makes it My Restraurant Rules…. His first episode takes place in Leeds, where his own career started over 30 years ago. Couples from restaurants all over the north-east have just 30 minutes to create their very best dish, present it in style and win a place in the next round. Marco is a tough judge, but the crowds want a taste of the action too, so each couple has to come up with a spectacular dish to stand any chance of getting through. Thursday, 28 March at 8.35pm on SBS ONE.